So far there haven’t been too many elongated track titles on this collaborative jaunt, so the time is right; the time is now. 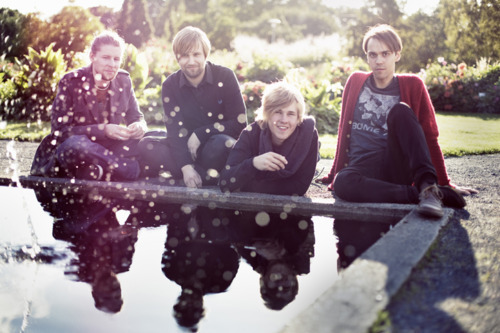 Delay Trees are a ‘dream-pop’ foursome from Helsinki, Finland. They have all the delicate nature and sing-songy delight of the rather good Iain Archer, and they provide the ambient background to the latest track. There’s an interesting mix of Gameboys, mandolin and other effects to be found. Drums come courtesy of Keith Grantham, who’s already been introduced. You can find more of Delay Trees at their Soundcloud.